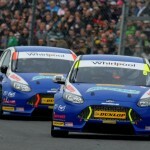 Einde seizoen 2014 BTCC met mooie resultaten voor beide Ford Focus Teams. 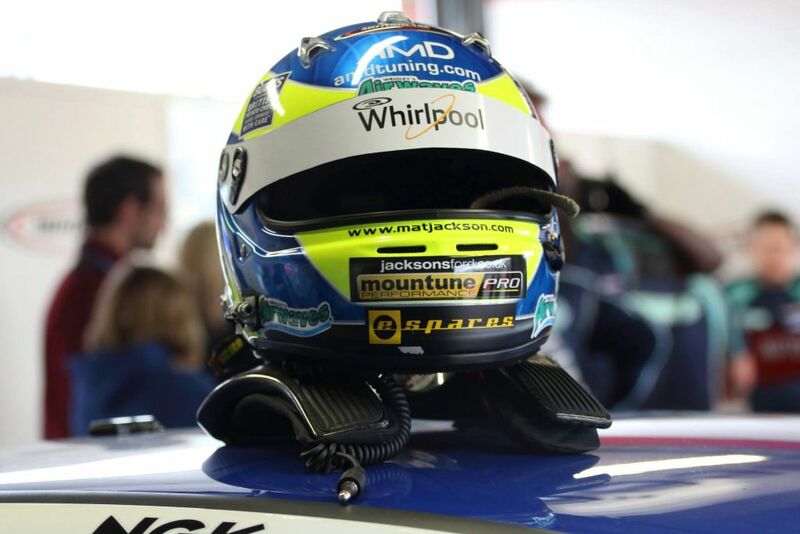 Airwaves Racing signed off in style at the track where it all began six years earlier, following a sensational season closer to the 2014 Dunlop MSA British Touring Car Championship (BTCC) on the Brands Hatch GP loop this weekend (October 11/12). 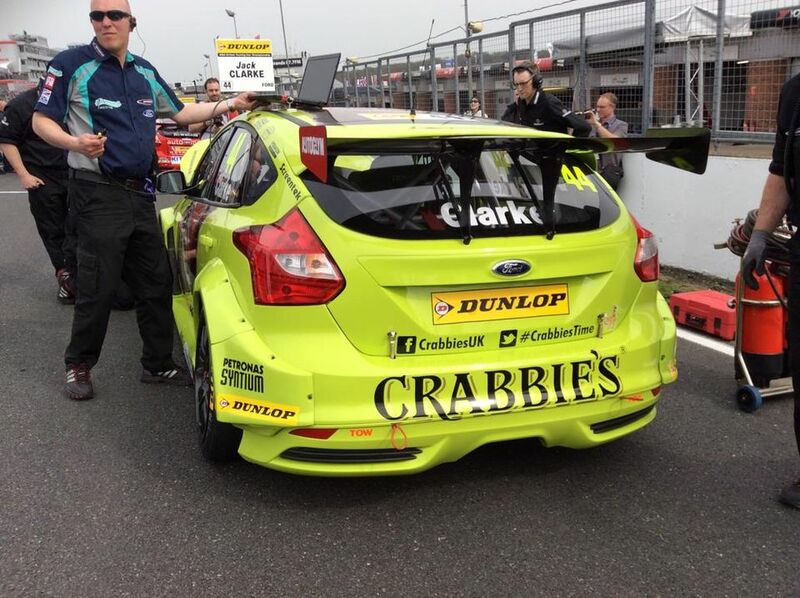 After the recent announcement that one of the most successful partnerships in the BTCC paddock would be coming to end, David Bartrum’s local Motorbase-run squad said a fond farewell to the Airwaves brand with a brace of top seven finishes topped off with a podium finish in the final race of the 2014 season. Mixed results during Saturday’s free practice sessions in challenging weather conditions transformed into positive qualifying results for the Airwaves duo. Despite the session being red flagged and ending early, Fabrizio and Mat both managed to complete decent flying laps to claim P6 and P8 spots for Sunday’s first opening race. Race 1 immediately set the scene for the frenetic racing that would follow, as the leading pack tangled heading into paddock hill bend. With Mat taking full advantage of the ensuing confusion to steal into 5th, Fabrizio found himself pinned between Shedden’s Honda and the pit wall with the Italian having to take evasive action narrowly escaping the pile up as the opening lap unfolded into chaos. 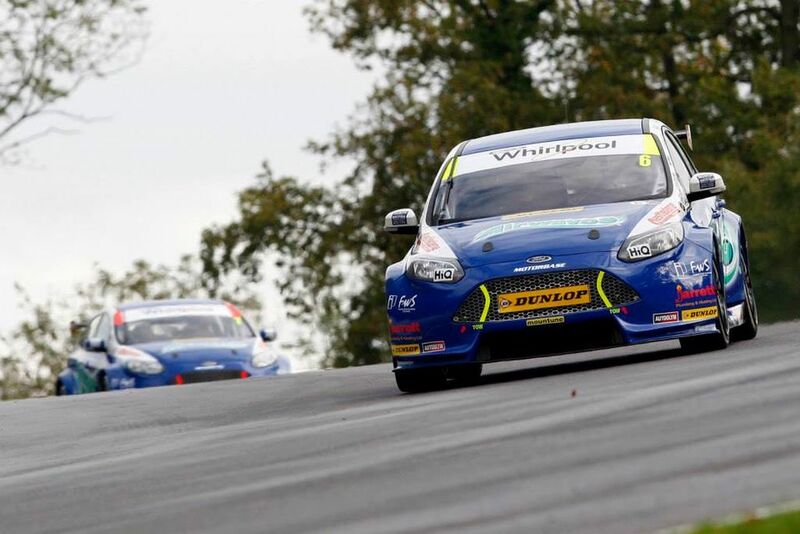 Both Mountune-powered Ford Focus ST’s managed to scrape through with minimal damage and the Airwaves drivers settled down into the race with Mat setting his sights on catching Morgan and Turkington as the race restarted. Having made the move on Morgan in lap 5, the #6 driver closed in on Turkington as the two went side by side in the following laps as they battled for third. Ultimately the WSR racer had the edge and Mat crossed the line in a commendable 4th closely followed by Fabrizio in P6. Continuing his fine form into race 2, Mat once again got a storming start off the line in the #6 Focus, jumping past Tordoff to take third before briefly challenging Plato for P2 before a big off from Menu lead to another appearance of the safety car. 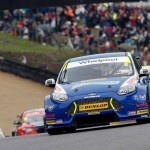 The action resumed where it left off following the restart with Plato taking race leader and newly crowned BTCC champion Turkington out of the race as they headed through paddock hill – handing the race lead to Mat. Unfortunately it would prove to be short-lived after a rare mistake from the Airwaves driver pitched the Focus onto the grass as it exited Hawthorns and the #6 Focus spun off track to re-join at the back of the pack. Unbelievably Fabrizio suffered a similar fate following the second restart of the race with the Italian on the receiving end of a reckless move from Ingram as two battled for position. 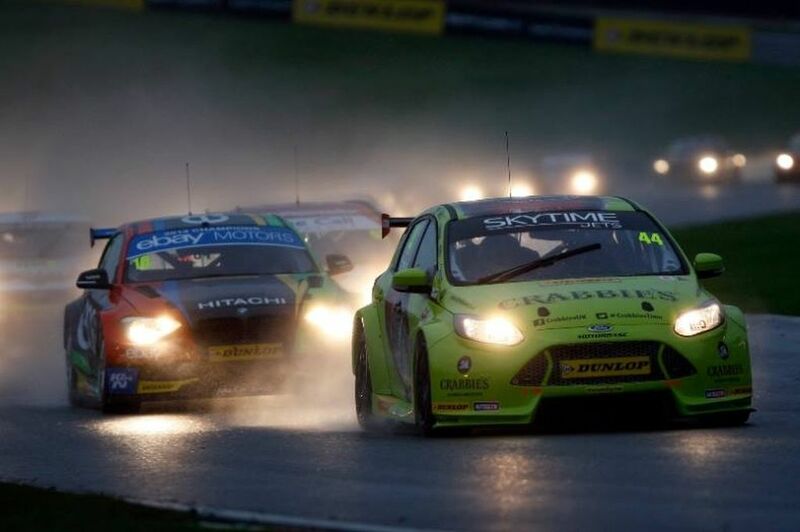 The two-time BTCC champion did a phenomenal job to recover from the resulting double spin that pitched the Focus across the track and into the path of the following traffic, miraculously avoiding any significant contact and managed to come back into the race, albeit from the back. A redeeming drive saw Mat battle his way back through from P24 and the Airwaves man would eventually cross the line in P12 (later promoted to 11th following a judicial ruling against Plato). 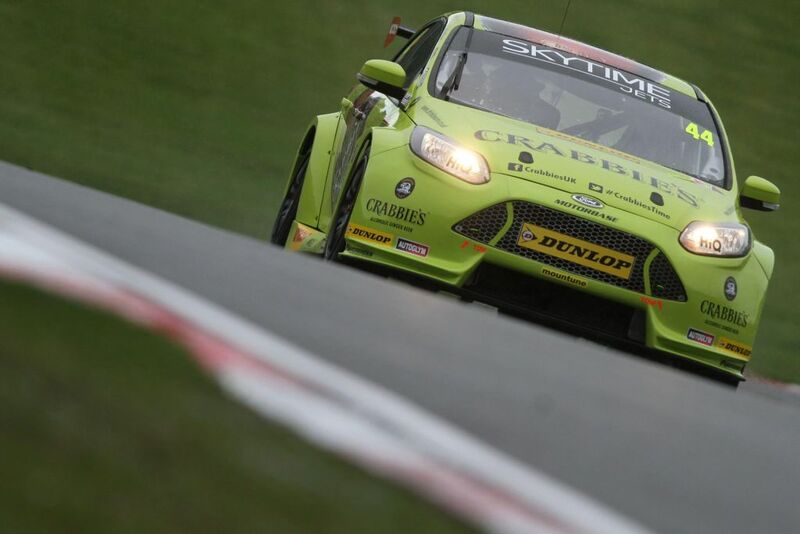 Likewise, Fabrizio did a sterling job to recover from his incident to bring the #7 Focus home in P19. 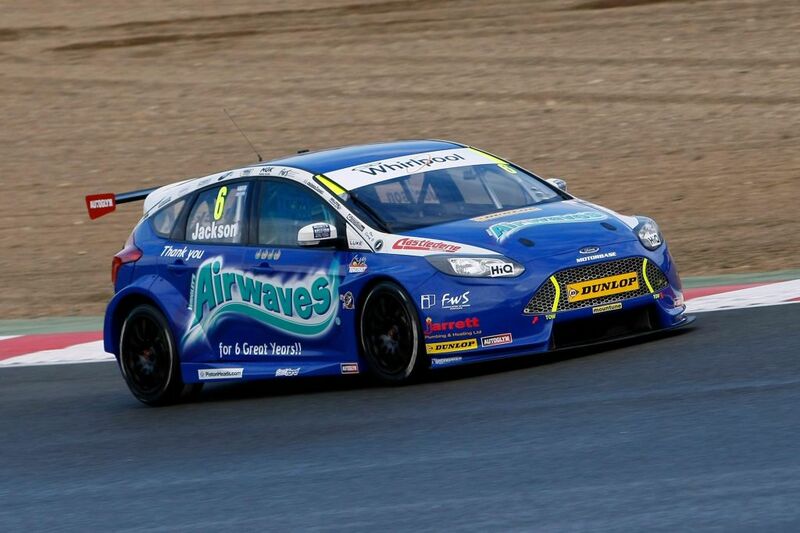 With the championship lead decided earlier in the day, Mat and Airwaves Racing needed to finish higher than former champion Andrew Jordan and Pirtek Racing in the final race to keep hold of forth in the championship. 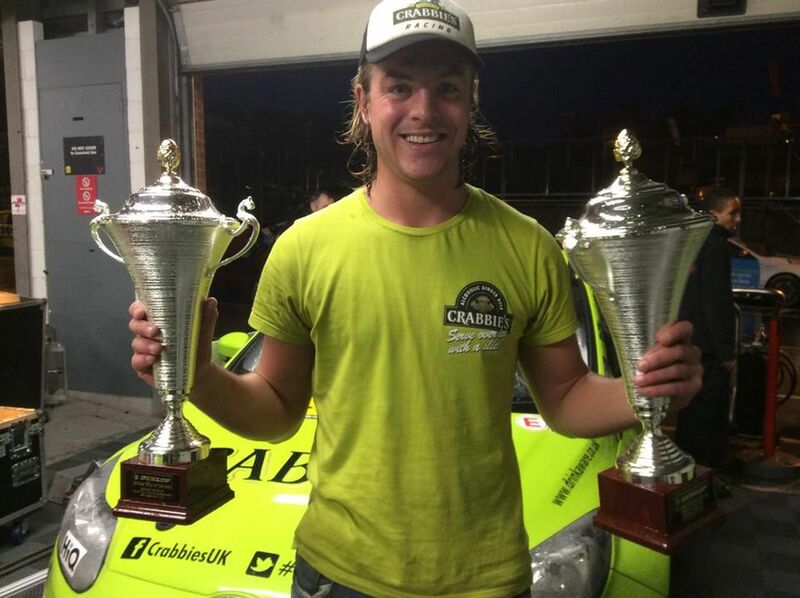 Following an initial confusion over final grid, Mat and Fabrizio’s stable mate Jack Clarke was drawn on pole for the season closer in what could only be described as biblical conditions. With Foster taking full advantage of the rear wheel drive to take the race lead off the starting line, the safety car was called upon before the opening lap had even been completed allowing the pack to close up again. After a strong restart, Mat had already worked his way up into 7th place behind Jordan with Fabrizio sitting in P14 as the laps unfolded in treacherous settings. The battle continued with Mat moving past Jordan, Foster and Tordoff in the opening laps, settling into P4 before the second safety car appearance of the race at the halfway point, bunching the field up once more. As the racing resumed, Mat saw an opportunity and made his move on third placed Smith with the two trading paintwork as they battled side by side. 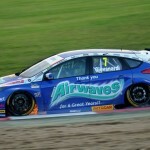 The Airwaves man would triumph, with Mat claiming a final podium of the 2014 season, providing the perfect fitting farewell to the Airwaves brand in front of an elated Motorbase team and home crowd. Fabrizio had a less eventful race to sign off his 2014 season and return to the championship. With the Italian struggling with visibility in the mid-pack in the risky conditions, Fabrizio managed to bring the Focus home safely and undamaged in P13, adding his final three points to the Airwaves Racing championship tally. 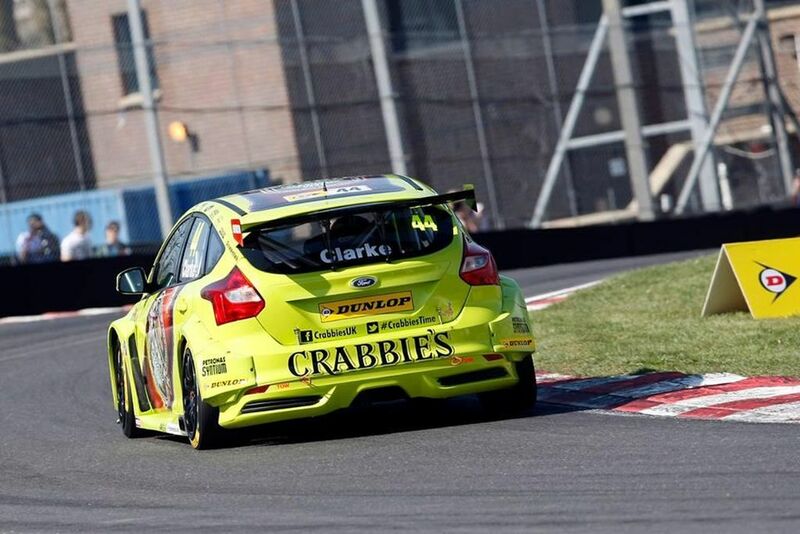 The weekend also produced a new BTCC star during the action-packed weekend with Crabbie’s Racing driver Jack Clarke pulling out one of the most captivating races of 2014 during Sunday’s finale. Continuing his fine form from the last few rounds of the championship, Jack enjoyed another two points finishes in the weekend’s opening two races claiming P15 and P11 (later promoted to P10 after Plato was excluded from the results) but it would be the closing race of 2014 where Jack got his chance to shine. 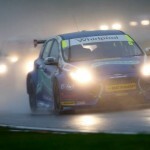 Finding himself on pole for the final race of the 2014 season in front of his home crowd and in perilous racing conditions, the BTCC rookie stormed into life with a heroic drive on the Brands Hatch GP loop. 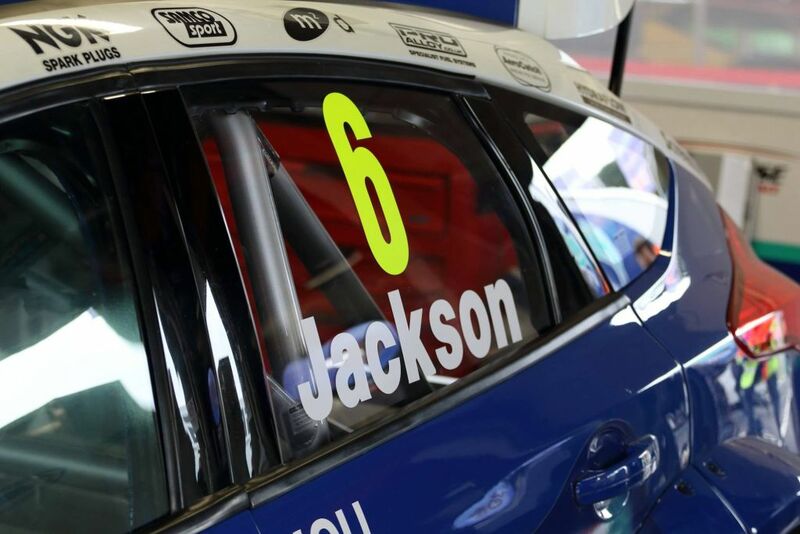 After initially losing the lead to the advantage of Foster’s RWD BMW, Jack fought back to retake P1 from the WSR man and gallantly held off former champion Shedden with the crowd cheering him on. 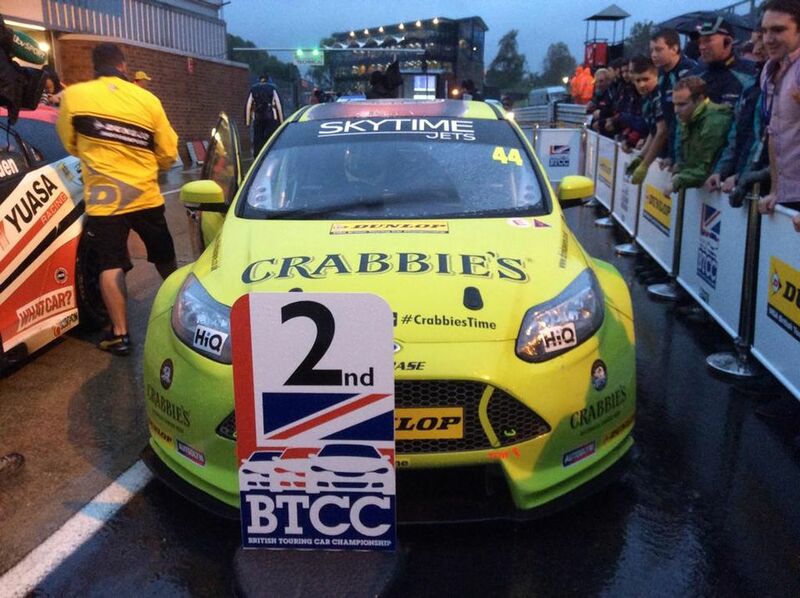 Eventually the Honda would find a way past to take the lead, but it was Jack and his eye-catching #44 Ford Focus ST that would remain the stars of the show with a delighted Jack claiming P2, his first-ever BTCC podium and independent race win. 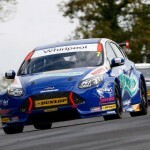 The weekend’s results did little to upset the order of the championship for the Motorbase-run squad’s with Airwaves Racing and Mat Jackson both securing 4th in the overall Teams and Drivers’ standings and claiming the runners up in the Independents standings – signing off on one of its most successful seasons to date and closing the chapter on its time as Airwaves Racing. 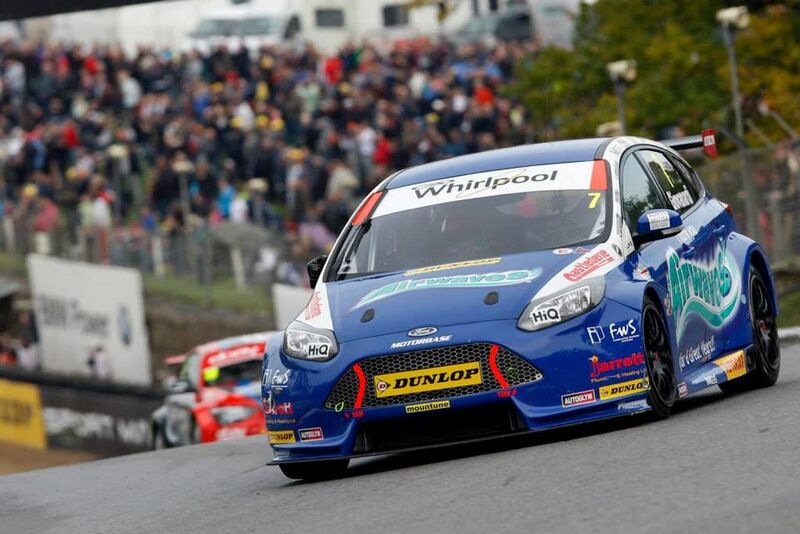 Notably, and despite the numerous incidents over the weekend, Mat Jackson and the Motorbase #6 Ford Focus managed to retain the 100% finishing record for the season, with the Mat being the only driver on the grid to finish every lap this season. 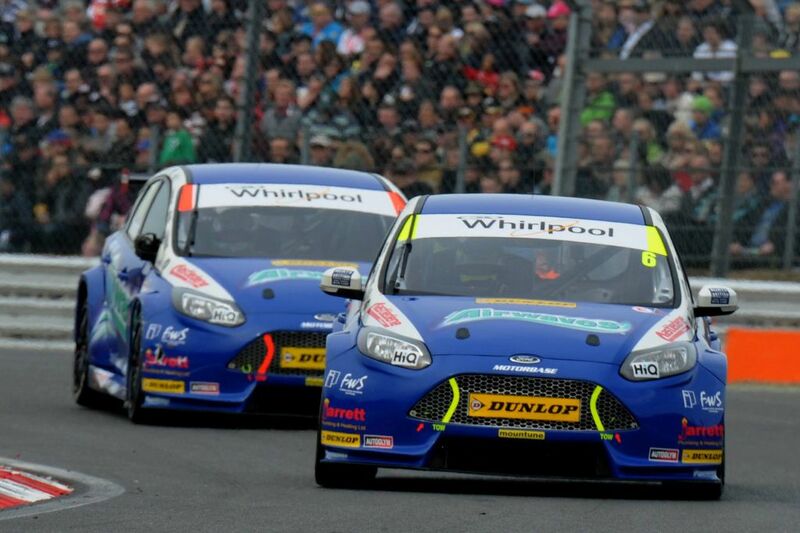 The team will be back in 2015, albeit under a new title sponsor banner, looking to carry on where this season ended and challenging for the BTCC title once again. “That was a nice way to end the season. An absolutely fantastic drive by Jack to achieve his first podium in style and he really paid back the Motorbase crew behind him. He thoroughly deserved that and it felt like a win! Mat’s had some strong results today too which ultimately secured him 4th overall and runner up in the independents. We’ve had a good season this year and came close to getting Mat in the top 3 overall. We’re proud to be runners up to WSR & Colin in the independents and fair play to them for achieving what they have this year – we’ll try and top them next year! “To finish the season with a P3 is brilliant and to finish 4th in the championship is equally as good and it’s been a great season. We’ve managed to finish every race this season which I don’t think has been achieved by many and overall we’re very happy. That’s mega and it’s testament to everybody involved – if they’re not bolting the car together right then I wouldn’t have been able to do what we did. The reliability has been perfect and the boys have done an awesome job. “For once, we had a good qualifying but it seems wherever I start from I just go backwards, it’s funny! Instead of going from the back to the front, I go the other way. 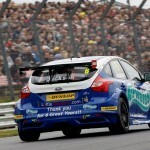 The last three races, the car has been getting better and better for me and I have to be positive. I think it’s difficult for people like me that I’ve always found a way to get out of trouble but I’ve struggled this year to find a way. “It’s a dream, I don’t know if I’m going to wake up in a minute but I really hope not! It’s not really been on the cards that sort of result, it’s out of the blue but instead of it being a great way to end this year I see it as a great way to start next year. I’m buzzing!